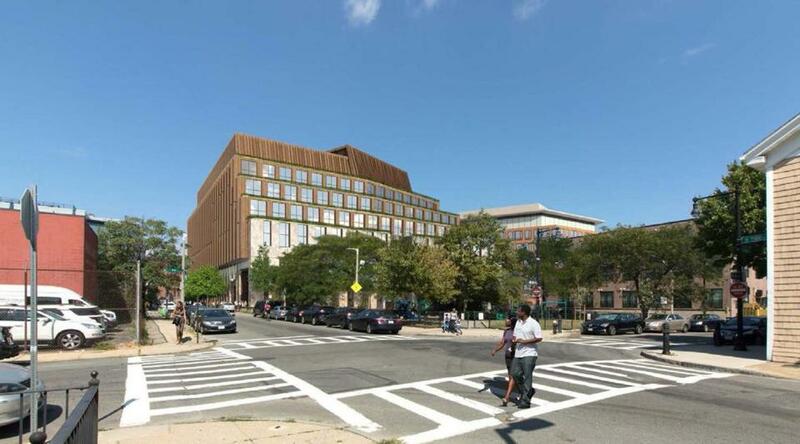 A rendering of the lab building proposed for A Street in South Boston. The first major lab project in the core of South Boston is moving forward at City Hall. Developers Anchor Line Partners and Alexandria Real Estate Equities filed detailed plans Thursday for a six-story, 210,000-square-foot lab building at 99 A St., near Channel Center and Gillette’s World Shaving Headquarters. 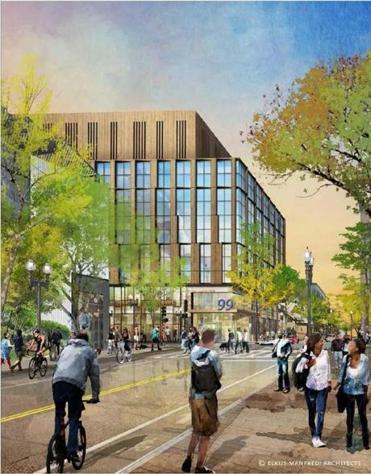 The filing will launch a city review of the project, which if built would be the first life science development in that section of South Boston. It would also be a major step for Alexandria outside of its longtime base in Cambridge. The major life science developer has built a corridor of lab space along Binney Street in Kendall Square. The project may also make sense to South Boston. There is growing concern about new housing and related traffic in some parts of the neighborhood, which has seen a wave of large-scale building on old industrial sites. Neighborhood leaders and elected officials have pushed for projects that would bring more jobs to the area, and the developers on A Street say they’ve lined up support from elected officials and plan to work with the city on job-training programs for local residents. If approved, Anchor Line and Alexandria hope to start construction next year and open the building in 2022. Although it may be the first lab building in the neighborhood, it probably won’t be the last. The development firm Related Beal has a deal in place with Gillette to buy 6.5 acres along Fort Point Channel, a site that real estate experts say will probably include some lab space. And brokers selling the site of GE’s once-planned headquarters next door are also marketing it as a potential life science project. Andrews said Alexandria may bid on the GE site and has looked at other sites in the area. South Boston is one of several areas around the region that could emerge as life science hubs for companies that can’t find, or afford, space in Kendall. And these days there are plenty to go around.